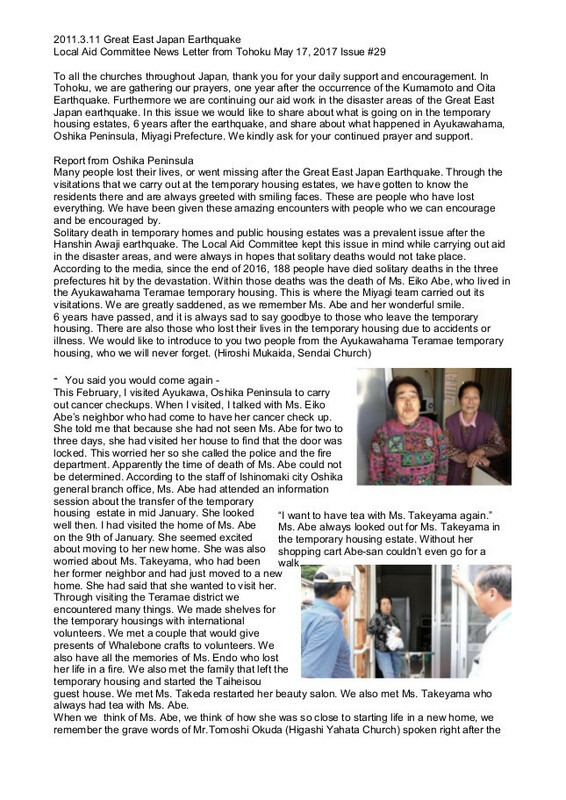 Japan Baptist Convention Disaster Relief Committee. Photo by Sendai-Taitomi baptist church'es Sunday worship on March 13. 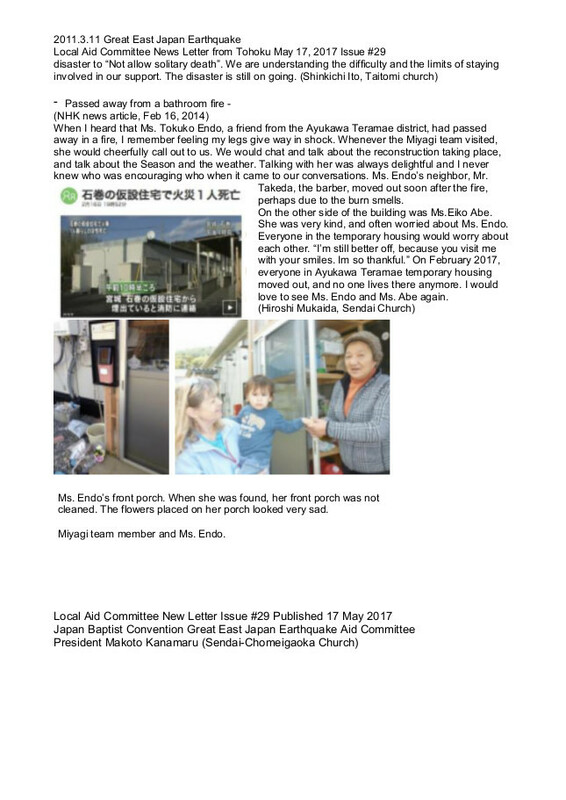 Japan Baptist Convention All Rights Reserved.